Like so many Arizonians, you're a responsible bicycle owner and rider. You regularly maintain your bike, wear a safety helmet, and obey the rules of the road. But despite your best efforts, you still ended up in an accident. Of course, mistakes happen – but, this was no mistake. This was a left turn collision, in which you had the clear right-of-way and the motorist in question failed to pay attention. For whatever the reason they missed you, there is a good chance they are at-fault, which means you could be entitled to compensation. You are going to need representation in order to secure the recovery you deserve. That means speaking with a dedicated bike accident lawyer in Phoenix. 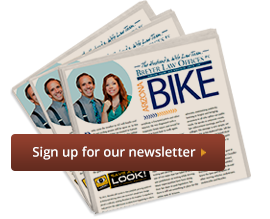 One with extensive knowledge and experience in bicycle accident cases. One that will use every resource available to ensure your settlement is secured. We recommend contacting us at Breyer Law Offices, P.C. today. We offer free consultations and will come to you if you are unable to meet at one of our locations. Dial (602) 267-1280 or use the form found on this page to speak with a representative. I Was Clearly Going Straight – So How Could This Happen? For most people, taking a left hand turn off of a busy street can be tricky. It requires the driver to be mindful of the incoming traffic, the traffic behind them, and the street light above. This is a lot of information to take in at once, so a good deal of concentration is required. Now, if that same driver is incapacitated for any reason or not paying attention, their left hand turn quickly went from tricky to treacherous. At Breyer Law Offices, P.C. our Phoenix left turn bike accident lawyers know how damaging a serious collision can be. Whether you were involved in a left-turn accident, or some other situation, the injuries suffered in a bike crash can last a lifetime. That is why we are dedicated to helping you and your family obtain the necessary recovery needed to heal and move on. Speak with the Husband & Wife Law Team of Mark and Alexis Breyer today about your rights and potential legal options. You can reach us at (602) 267-1280. Phoenix Left Turn Bike Accident Attorney Disclaimer: The legal information presented at this site should not be construed to be formal legal advice, nor the formation of a lawyer or attorney client relationship. Any results set forth herein are based upon the facts of that particular case and do not represent a promise or guarantee. Please contact a lawyer for a consultation on your particular legal matter. This web site is not intended to solicit clients for matters outside of the state of Arizona.